Tactical Elite Force Metal Stun Gun Rechargeable LED Flashlight - Black. 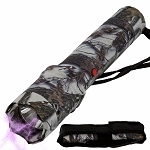 Overall length: 6.75"
Tactical Elite Force Metal Stun Gun Rechargeable LED Flashlight Snow Camo. Overall length: 6.75"
Self Defensive Mega Force Flashlight Stun Gun. Powerful 380 lumens bright flashlight. Rubberized body. 6 1/2" overall length. 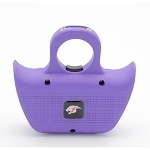 Purple Duo Max Power Stun Gun With Double Shock. Safety strap pin and separate pin are included which Disables STUN GUN when pulled out. 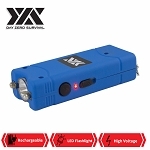 Tactical Elite Force Metal Stun Gun Rechargeable LED Flashlight - Blue. Overall length: 6.75"
Jogger Stun 4.8 Million Volt Rechargeable Stun Gun Defensive Knuckle Style. Piercingly sharp kubaton-style double spikes on the end for strikes and hammer fist punches. The Day Zero Survival Disabler also comes equipped with a handy LED flashlight, ideal for illumination in small areas. Recharging becomes effortless. 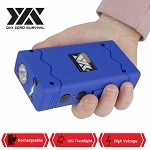 DZS Ultra Mini Blue Stun Gun Rechargeable With LED Light, Holster and KeyRing. It is small but strong enough to scare the attackers. Measures 3.5" x 1.5" x 7/8". Built in LED Bright Flash Light. Carrying heavy self defense weapons causes a significant level of discomfort, doesn't it? At Sharp Import, we provide the most comfortable self defense tools that you can carry without any distress. Searching for the smartest weapon on earth? How about a Stun Gun? 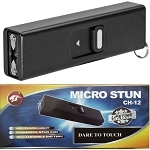 At Sharp Import, there is an incredible array of Stun Gun for sale. Realizing your needs, we provide you stun guns that are as effective as some of the heaviest weapons. We guarantee your protection, and that too at low budget. It is one of the cheapest tools you would ever purchase. We know how eager are you to know how this smart tool works. 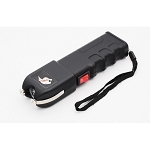 A stun gun is a device that uses a high level of voltage to stop the attackers from approaching you. You just need to touch the attacker with the prongs of this device, and that will immobilize him quickly. That’s how simply it works. It may not inflict a permanent injury, but gives you the much-needed time to escape. Now, is there any need to carry knives or guns, that leave you in a worried situation to avoid self-injury. 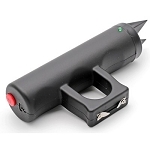 Explore our collection of stun guns, and check which one would you want. Sharp Import stocks the best stun guns variety, including stun gun flashlight, cell phone stun gun, mini stun gun, and lipstick stun gun. There can’t be any other weapon that is more comfortable to carry than a stun gun. No one would ever get an idea what you are carrying with you. You are in fact carrying a flashlight that actually is a flashlight with a stun gun additionally installed. Similarly, no one can even think that your cell phone or lipstick has a cool feature that can make it harder for the attackers to even move for a reasonable time. If you have a low budget to own a self defense weapon, Sharp Import gets you covered. You can buy our stun guns at a price you can’t imagine. 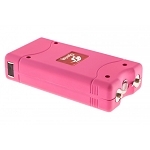 We have 90% reduced prices for our stun guns. So, turn your imagination into reality and purchase your favorite stun gun models at lowest prices. 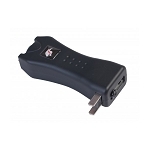 Sharp Import is a renowned wholesale brand selling the most diverse models of stun guns. 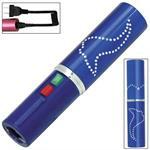 We stock the greatest range of Stun Guns of different designs, colors and styles. Also, there is an additional feature of flashlight to make sure you travel safely during the midnight. Our extra-quick shipping and cheapest prices make us a standout wholesaler. 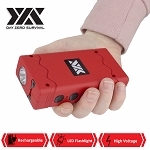 So, purchase the best stun gun for sale from the best wholesalers. Want more smart weapons to defend yourself against the attackers? Check our amazing variety of Brass Knuckles for sale under $5.